"We must become the change we want to see in the world." Pancreatic Cancer Canada is committed to supporting leading-edge research in Canada by funding scientists who are committed to discovering new and better ways to diagnose, treat and prevent this devastating disease. History has proven that cancer research can take years of painstaking work. Researchers need to know that their studies will continue to be funded for as long as it takes to find the next breakthrough. 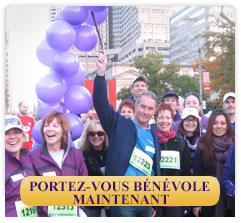 This is where you can help – by remembering the National Pancreatic Cancer Canada Foundation in your will. After taking care of your family and those who are close to you, you may consider leaving a gift/bequest to Pancreatic Cancer Canada in your will. A bequest can be a specific amount or a percentage of an estate and can also name specific property, such as a home or artwork. 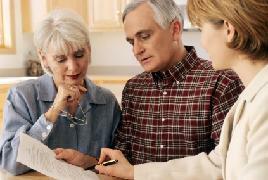 Your estate is eligible for a tax receipt for the entire amount donated. In some circumstances, leaving a gift or a bequest to charity may reduce the amount of inheritance tax your family will be liable for after you have gone. A bequest is a gift made in your will ... it is a way to support causes and people that mattered most to you during your lifetime. Whether or not you already have a will, the easiest way is to get professional help from a legal advisor experienced in preparing wills. Please use our legal and registered name in your will. When including a gift to our foundation in your will or any other document, it is extremely important that you use our correct legal and registered name: National Pancreatic Cancer Canada Foundation. Thank you in advance for your support. Your gift will enable us to sustain lifesaving research.